Start speaking English like a native today. I've been teaching English for more than 10 years! 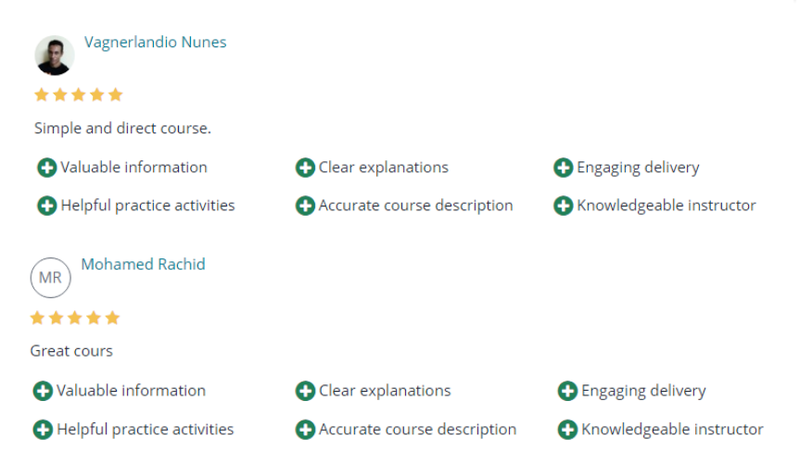 My courses have reached more than 1,800 learners from 110 countries. My passion is helping English learners like you become fluent to reach your goals, whether that is speaking confidently with a customs agent when you travel, acing the TOEFL iBT, or getting a better job. I will help you become fluent in English. Have you studied English for years? Are you tired of always making mistakes when you speak, read and write? Did you score less than an 8 on the Speaking/Writing section of the IELTS test or less than an 100 on the TOEFL iBT? This short course is designed to help intermediate English learners (levels A2, B1 and B2) learn and avoid the most common errors that English learners make. From nouns to verbs and prepositions, we'll cover a variety of topics. The verb "perfect" means to improve, and I created this course to help you realize simple errors, understand why they’re incorrect and provide you with the most natural way to say something like a native speaker would. Speaking English correctly and developing fluency takes time, and after this course you will be one step closer to becoming fluent. 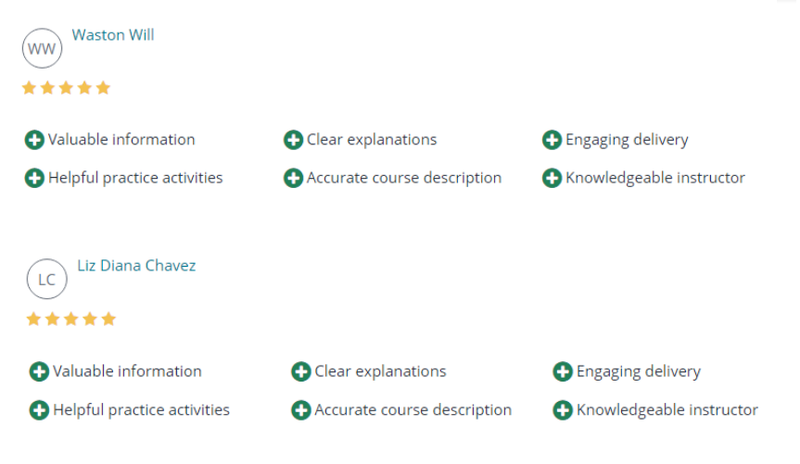 Each short video lesson is 1 to 3 minutes. 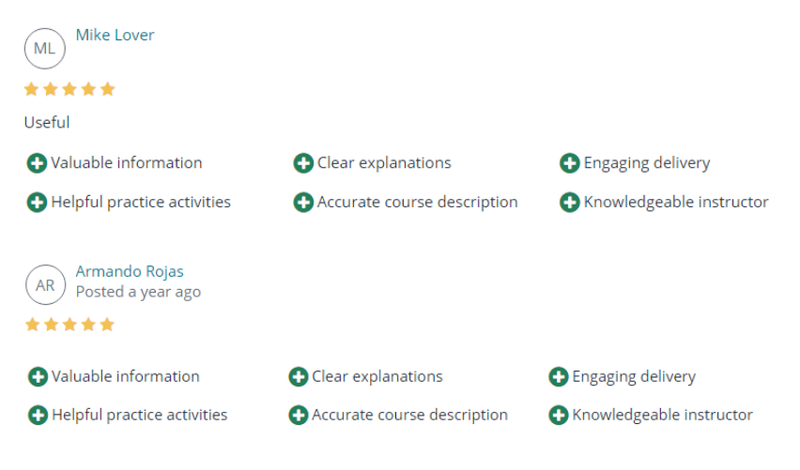 After each lesson, you can take a short 3-question quiz to test your understanding of the topic. You will also find a link to an additional resource to help you understand the topic. 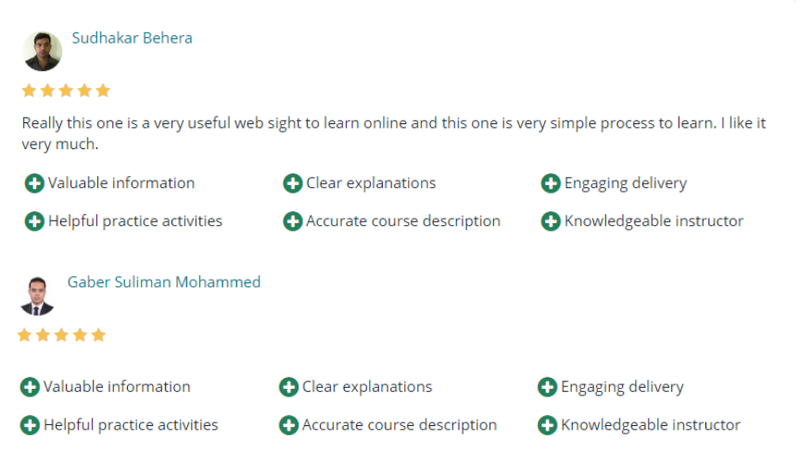 You can complete this course in just a few hours! 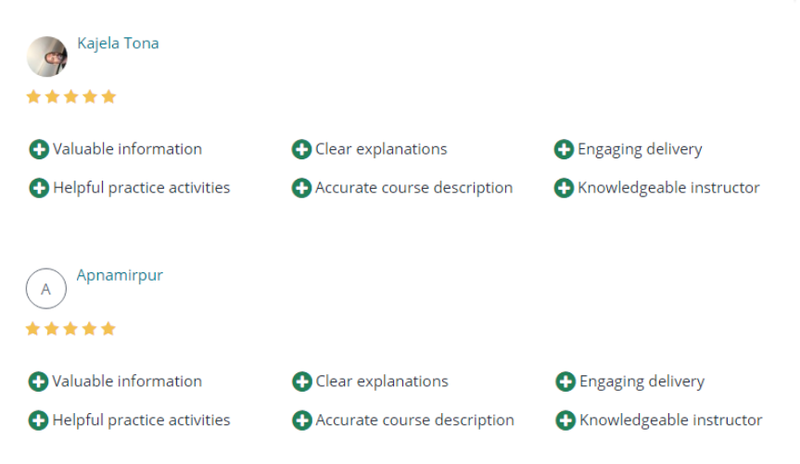 You can take the entire course from beginning to end or you can choose only the questions that you need help with. 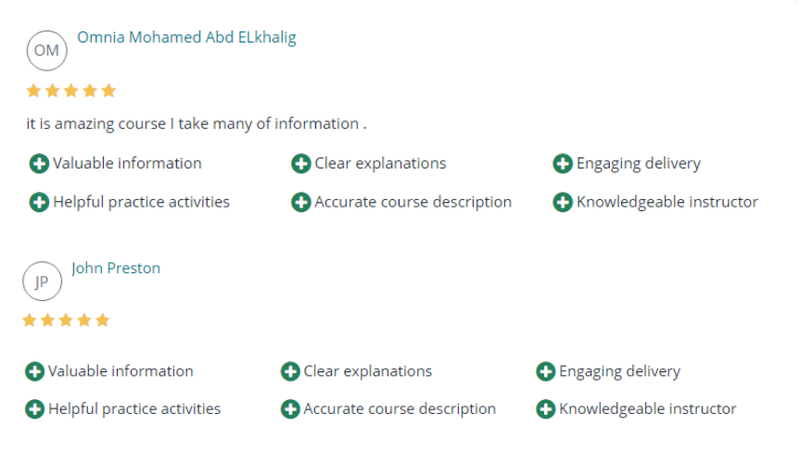 Each lesson follows the same format. If you understand why the sentence is incorrect, you don’t need to watch that lesson, but if you don’t understand why the sentence is incorrect, you should complete the lesson. Second, Watch the lesson video. 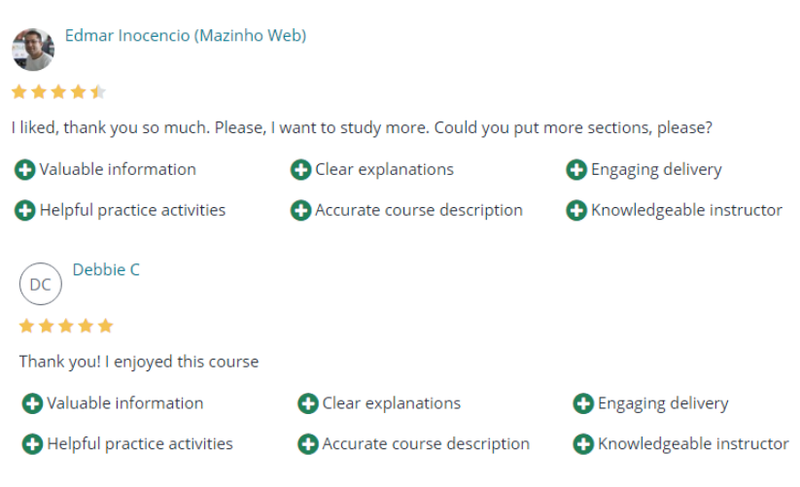 Five, If you still do not understand a concept, message me (the instructor) for help on Udemy. I will usually respond within a few hours. 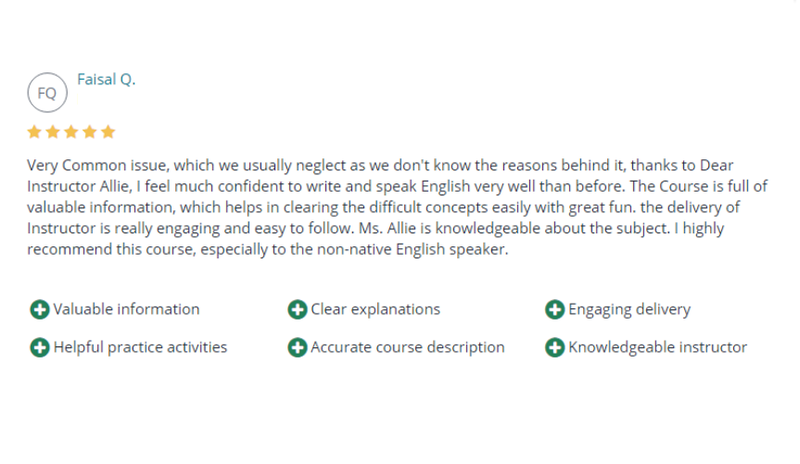 If you have been studying English for years, but still make mistakes and score less than an 8 on Speaking/Writing in the IELTS and less than an 100 on the TOEFL iBt, you need to take this course. 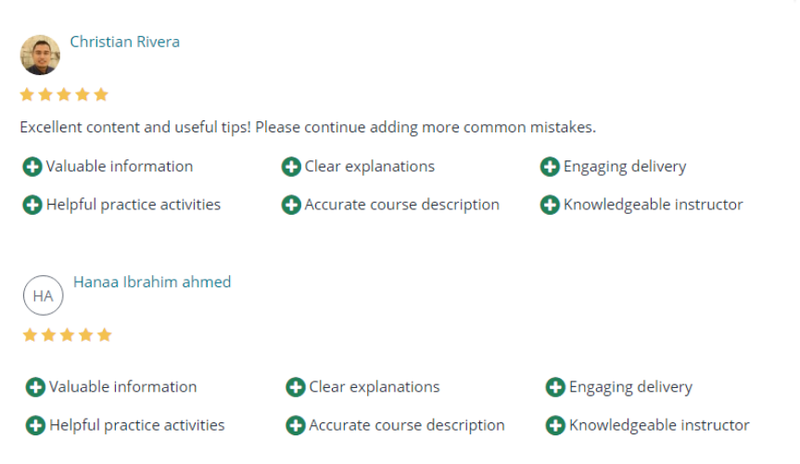 After this course, you’ll understand how to avoid some of the most common errors. The most important thing to remember is that I am always here to help you! Please don’t hesitate to send me a message! Let’s finally take a step towards perfecting your English! Error 9 I have a small work to finish. Error 10 I downloaded 6 new musics today. Error 12 I search on the internet job skills. Error 12 Sentences with "Search"
Error 13 It's doing well. Error 13 Responding to "How are you?" and "How are things?" Error 14 If I were you I would eat as much donuts as possible. Error 18 It is few pages long. Error 19 Neither Justin or Reuben made the team. Error 22 I heard your voicemail last night. Error 24 Discussion "mention about"